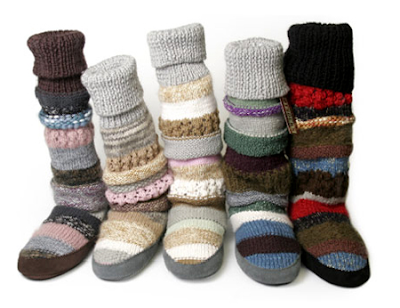 Sockmocs, Sockslippers, Hotsocks and more. 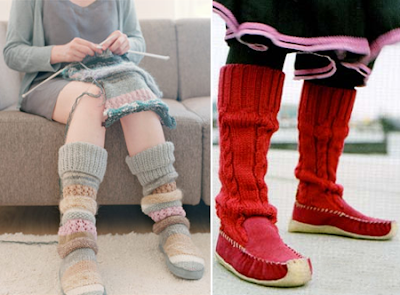 Cozy toasty feet in gorgeous nubby knits in delicious colors. 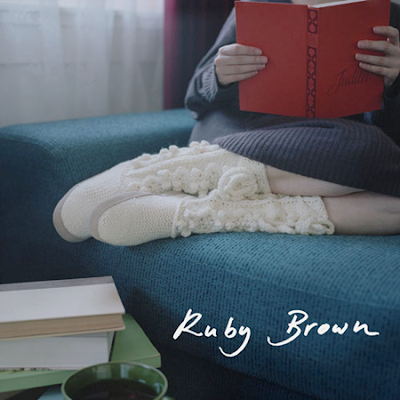 Martine de Graw is the talented woman behind the Dutch Ruby Brown brand. 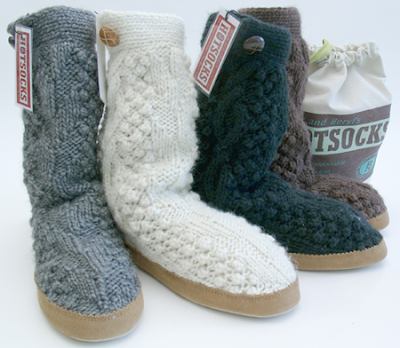 The footcozies were designed by both Martine and Beryl Cameron, a successful knitwear designer.